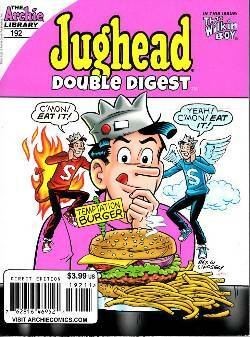 The Lodges are throwing a swanky party and Jughead didn't make the guest list! Missing a chance to rub shoulders with Riverdale's elite is no big deal, but Chef Gaston's appetizers are to die for. Luckily Jug has a man on the inside. It's up to Archie to smuggle the goods to him during the soiree without getting caught, but little do they know there's an even bigger heist going down that night and if they're not careful they'll either take the fall or go down with them in "Sneaking & Snacking!"